Enjoy the freshness of Moscato! 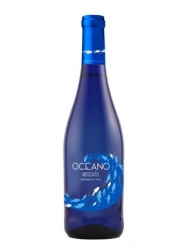 Oceano Moscato is a product originally designed for the US market, born with the aim of expanding Wineoclock’s portfolio with a successful varietal like Moscato. 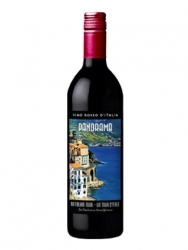 It attracts the attention of the consumer thanks to its innovative packaging, with a silk screen printed “label” and to the color of the bottle, blue as the ocean from where its name comes from. As a direct connection to the “ocean” concept, the inside product impresses for its freshness and drinkability, completed by the aromatic profile of the Moscato grape. 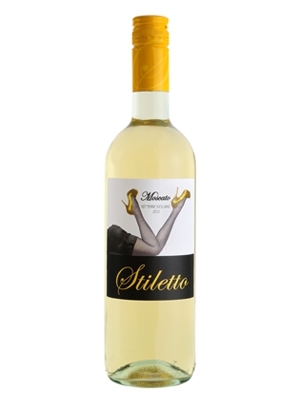 This Moscato Cocktail makes its debut in the american chains in 2017, thanks to a deep consumption and marketing analysis, that led to the choice of the right wine, of the particular bottle typology and a captivating “label”. Our production partner is Arione, in Piedmont, a versatile producer and a milestone for Moscato. 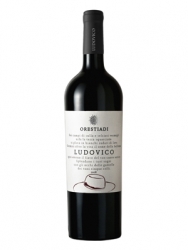 The objective is to generate curiosity thanks to its packaging and its quality-price ratio, which have always been the competitive advantage of Wineoclock. Per Te, in italian, means: “For You”. This wine makes is debut in the US market in 2017, with the aim to fill the gap of “special occasion’s” sparkling wines. 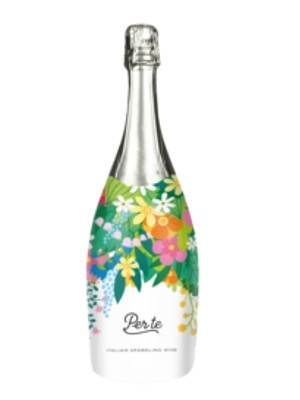 In fact, based on an accurate market research we made, Per Te would be the perfect wine for Valentine’s Day, weddings, birthdays and so on… The packaging is entirely thought to substitute, or integrate, a bouquet of flowers for a special day! Thanks to our internal design department and our overall knowledge of the wine industry, we could develop a full-concept product, tailor made for the sparkling wines market, from the “dressing” to the wine itself. 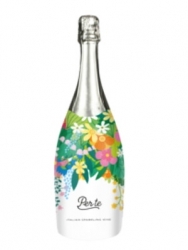 Per Te is an italian extra dry sparkling wine, made of Moscato grapes and rich of freshness and aromas, that can satisfy every consumer with its taste. As for Oceano, Arione is our main partner in this production, ensuring professionalism and, of course, quality. Understanding the successful trend of aromatized wines, Wineoclock entered the US chains thanks to Dolcefrutta. 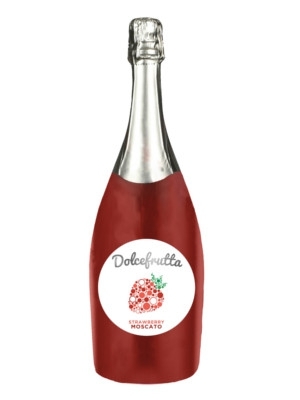 This sparkling product is a Moscato Cocktail, mixed with natural aromas of strawberry or peach. Since Wineoclock is well established in the US market, it knows what the consumer wants and decided to provide a high quality-price ratio product that could perfectly fit any informal occasion. In fact, Dolcefrutta, starting from its label made from our designers, is thought to satisfy the market with a colored and attractive bottle. The concept is easy… To create an easy drinking beverage that could match and attract the US consumers taste, enanched by our point of strength: affordable quality packaging and content. As for our other Moscato-based products, our partner is Arione, an estimated professional of quality products. 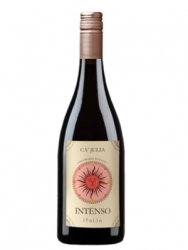 The Ca’ Julia – Intenso project, was born thanks to the collaboration with the US chain “Heinen’s Fine Foods”, which operates in the States of Ohio and Illinois and has a particular attention towards high-profile products; in fact, as part of its mission statement indicates, Heinen’s objective is: “to provide world-class customer service while offering the freshest, highest quality foods”. 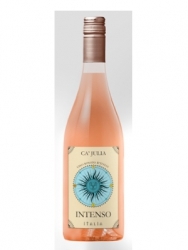 The project includes a portfolio of three wines (red, white and rosè) without appellation, but that aim to provide high level products; with Intenso, Wineoclock and Heinen’s wanted first of all to promote italian wine at an affordable price, showing that the word "quality" doesn’t necessarily exclude table wines. 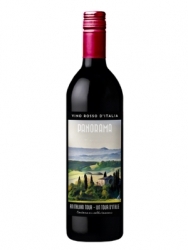 Therefore, the consumer will appreciate the italianness of the wine, even without being an expert or a sommelier. 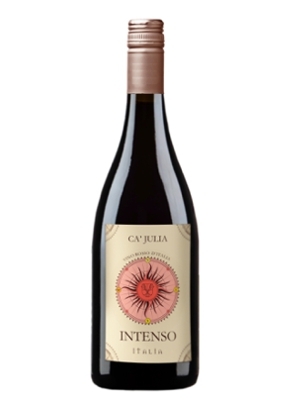 Ca’ Julia relies on valuable and recognized partner producers, in order to offer to the american consumer the perfect wine to know better the italian wine world. 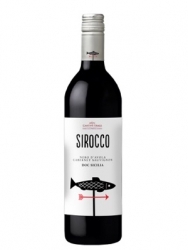 Sirocco came to life as a challenge, with the idea of using a fish shape on the label of a red wine. In fact, despite the traditions indicate that only a white wine can be the perfect pairing for fish, thanks to the knowledge and the study behind the product, Wineoclock wanted to go counter-current and propose a red wine (that can also be drunk chilled) that goes well with any course, including fish! 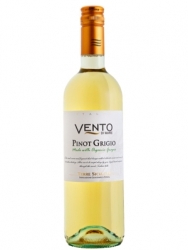 Afterwards, the natural consequence was to introduce a white wine in the market that followed the same characteristics of versatility: the Sirocco Pinot Grigio IGT. Wineoclock won the challenge, because Sirocco DOC Sicilia and the white Pinot Grigio IGT version, have been listed in the Canadian SAQ with excellent results, certifying the success of our company. The english translation for this wine is: “Free”. As the name suggests, this product aims to be an immediate, fresh wine, “free” from the typical superfluity of the wines’ storytelling. 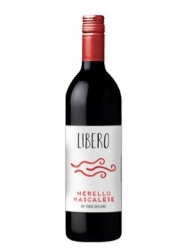 Produced both in white and red version, Libero expresses itself thanks to 3 indigenous sicilian varietals: Grillo (white), Nero d’Avola and Nerello Mascalese (red). The label is simple and armonic, direct extension of the content of the bottle, which is suitable to every palate. 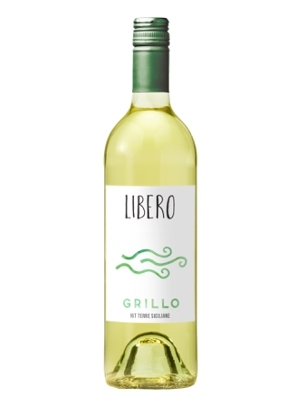 In fact, Libero, has been appreciated by some american buyers and it’s present since 2017 also on the shelves of US chains. 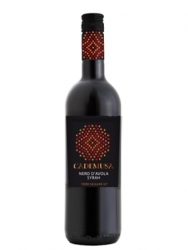 Cademusa is a huge commercial success that nobody could expect; in fact, it is the Sicilian red with a constant growing trend in Canada, that nowadays challenges even the leadership of an historically famous brand as Corvo di Salaparuta. It was born with the idea of targeting the “Millenials” segment of consumers and it was identified as the perfect wine for the Canadian market thanks to a precise and detailed marketing study and to a consolidate knowledge of the Canadian consumers. The high-impact label and its defined and full-bodied taste, led this product to the second place in the ranking of importance in Quebec’s market for the category “Sicily and Sardinia” reds (confirmed by the official SAQ data), with a constant growth every year. Cademusa’s blend, Nero d’avola and Syrah, succeeded in its mission: attract newcomers and connoisseurs of the wine world, thanks to its quality-price ratio and to its “explosive” design. Panorama (An Italian Tour) is a wine that dosn't just want to taste Italian, but feel Italian; an Italian red wine with no appellation, a "vino rosso d'Italia", blended with organic grapes, expression of different Italian wine territories: Sicilian Nero d’Avola, Nerello from Southern Regions (Campania and Calabria), Tuscan Sangiovese and Merlot from Northern regions (Lombardia and Veneto). The packaging is made with different front labels representing 4 vintage tourists posters of Taormina, Amalfi, Cortona, and Como Lake, made by our internal design team. "A slow wind, warm and fragrant that brings with it delicate scents and aromas of a land rich in history. 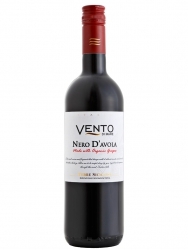 Allow me to be swept along by you, loyal travel companion, through the sweet Sicilian hills"
Vento di Mare is a full line of 5 standard and 4 organic varietals from Sicily: Nero d'Avola, Nerello Mascalese, Grillo, Inzolia and Pinot Grigio. This project, launched in the US market in 2013, is now under distribution in different States and chains. Main idea is to offer fresh wines from Sicily, both standard and organic; our partner is Cantine Ermes, one of the biggest wine producer and bottler facility in Sicily with a total production of more than 450.000 hectoliters per year. The idea to offer both organic and standard varietals offers a double choice for the buyer; wines made with organic grapes are now growing fast n North American markets. Brand name, Vento di Mare, is not casual: first vineyards are located just in front of the sea; second the wind. In the Belice Valley, where the ancient manor houses preserve the historical memory of a man's working presence, we cultivate the vineyards from which the wines VENTO DI MARE are produced. Fertile soils and ideal temperatures are unique and essential features that allow the best grapes to reach a perfect ripeness. Thanks to the wind, a wind that blows from the sea to the highest hills of the island to ease and refresh the clusters in the hot Sicilian summer , we can find in our wines unique features distinctly Mediterranean, wines with important structure , great freshness , balanced acidity and flavor. The influence of the wind is very important for our wines as it is the best natural remedy for the prevention of fungal diseases, avoiding the accumulation of moisture. This element allows the wine producer to eliminate the use of synthetic products in the fight of these situations; the final result is to grow fully natural and organic grapes. Today, in these lands where the Mediterranean scents are interwoven with the myth of man, we take care of our vineyards with full respect for the environment and for the organoleptic qualities of our wines, bringing to fulfillment what nature has created. 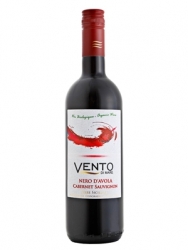 Cab Sauvignon Organic - A project fully focused on the market needs. This product is more than any other explanation, the raison d'etre of Wineoclock and the importance of working with a company with a specific focus on the market. This project moves from a request of SAQ , the Public Company that manages the distribution of wine in Quebec. Canada is a monopoly market , therefore, the Government runs the wine purchases by publishing tenders. Many producers join these tenders so chances of being selected are very low. 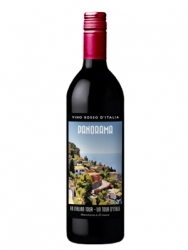 In this case we started from the original Vento di Mare wines developed for the U.S. market, but the final offer was completely different, both for the packaging (final design is much more modern and commercial as required by SAQ) and the blend , moving from an indigenous monovarietal to a blend of Nero D'avola, main red grape from Sicily , and Cabernet Sauvignon the king of French vines. In addition, we have proposed a wine made from organically grown grapes knowing how this aspect is considered important by the Canadian consumer . 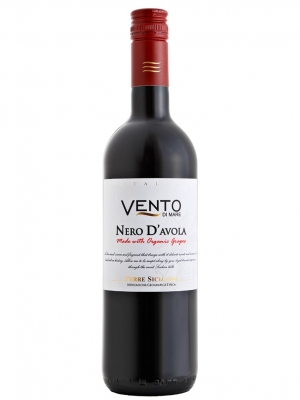 The result is that our Vento di Mare Nero d' Avola Cabernet Sauvignon Organic has been selected as the sole winner in the category of Sicily and Sardinia in September 2013 , the launch took place in March 2014 and now the product is marketed in more than 130 wine stores SAQ , with a sales forecast in 2014 to about 90 thousand bottles. 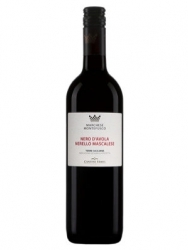 Sicilian wines are very popular in Canada, but the consumer is not confident with indigenous grapes from this island. 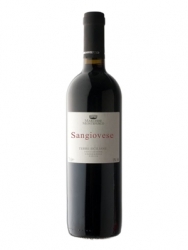 The idea to offer a red from Sicily produced by Sangiovese grape, one of the most popular and recognized from Italy, was the add value to get this wine listed in Quebec. Another marketing concept behind a wine produced for the mass market. A perfect price-quality ratio that created the curiosity of different US chains, among them Cost-Co and the Canadian monopoly. Based on Wine Spectator ratings, the average price of an Italian wine awarded 90 or more points in 2013 is 70USD, Ludovico is 19,99USD on the shelf; Southern Italian wines rated with 90 or more points are just 17%, so Ludovico is among the best both for quality and price.